Input: "Sign up to get 1 million dollars by tonight"
Input: "This is a receipt for your recent purchase with Amazon"
If you simply tried to do a simple linear regression on this fever problem, you would realize an apparent error. Fever can go beyond 1 and below 0 which does not make sense in this context. Previously at least some points could be properly predicted. However, with the presence of outliers, everything goes wonky for simple linear regression, having no predictive capacity at all. Also, it's bolded because it's a vector, not a matrix. Here, we will use a 4 class example (K = 4) as shown above to be very clear in how it relates back to that simple examaple. All softmax outputs have to sum to one as they represent a probability distribution over K classes. Take note how these numbers are not exactly as in the illustration in the softmax box but the concept is important (intentionally made so). y_0 and y_1 are approximately similar in values and they return similar probabilities. Similarly, y_2 and y_3 are approximately similar in values and they return similar probabilities. Do you know many researchers and anyone in deep learning in general use the term softmax when it should be soft(arg)max. This is because soft(arg)max returns the probability distribution over K classes, a vector. 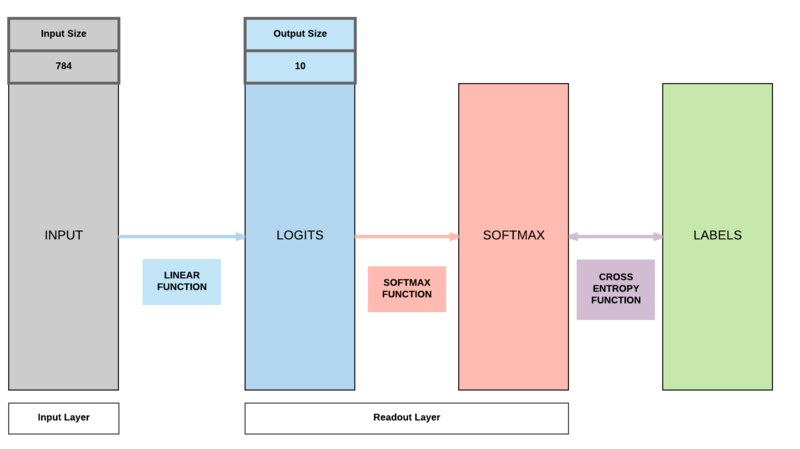 However, softmax only returns the max! This means you will be getting a scalar value versus a probability distribution. According to my friend, Alfredo Canziani (postdoc in NYU under Yann Lecun), it was actually a mistake made in the original paper previously but it was too late because the term softmax was adopted. Full credits to him for this tip. 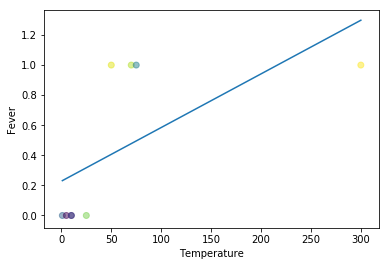 You get a small error of 1e-5 if your label = 0 and your S is closer to 0 (very correct prediction). You get a large error of 11.51 if your label is 0 and S is near to 1 (very wrong prediction). 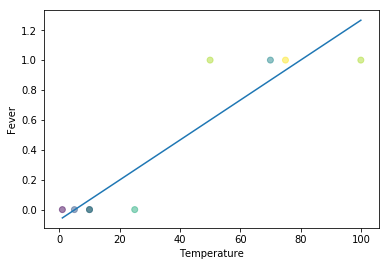 You get a small error of -1e-5 if your label is 1 and S is near 1 (very correct prediction). You get a big error of -11.51 if your label is 1 and S is near 0 (very wrong prediction). You can easily load MNIST dataset with PyTorch. Here we inspect the training set, where our algorithms will learn from, and you will discover it is made up of 60,000 images. So this is how a single image is represented in numbers. It's actually a 28 pixel x 28 pixel image which is why you would end up with this 28x28 matrix of numbers. 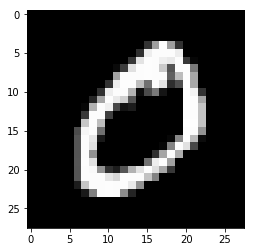 When you load MNIST dataset, each data point is actually a tuple containing the image matrix and the label. This means to access the image, you need to access the first element in the tuple. The second element actually represents the image's label. Meaning if the second element says 5, it means the 28x28 matrix of numbers represent a digit 5. 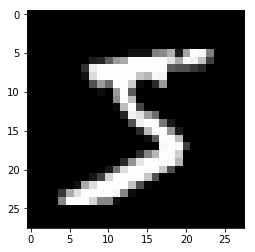 As mentioned, a single MNIST image is of the shape 28 pixel x 28 pixel. As you would expect, the label is 5. We should see 0 here as the label. Show our algorithm works beyond the data we have trained on. Compared to the 60k images in the training set, the testing set where the model will not be trained on has 10k images to check for its out-of-sample performance. Exactly like the training set, the testing set has 10k tuples containing the 28x28 matrices and their respective labels. This contains the image matrix, similar to the training set. Remember training dataset has 60k images and testing dataset has 10k images. When the model goes through the whole 60k images once, learning how to classify 0-9, it's consider 1 epoch. However, there's a concept of batch size where it means the model would look at 100 images before updating the model's weights, thereby learning. When the model updates its weights (parameters) after looking at all the images, this is considered 1 iteration. We arbitrarily set 3000 iterations here which means the model would update 3000 times. One epoch consists of 60,000 / 100 = 600 iterations. Because we would like to go through 3000 iterations, this implies we would have 3000 / 600 = 5 epochs as each epoch has 600 iterations. This is just a simplified example of what we're doing above where we're creating an iterable object lst to loop through so we can access all the images img_1 and img_2. 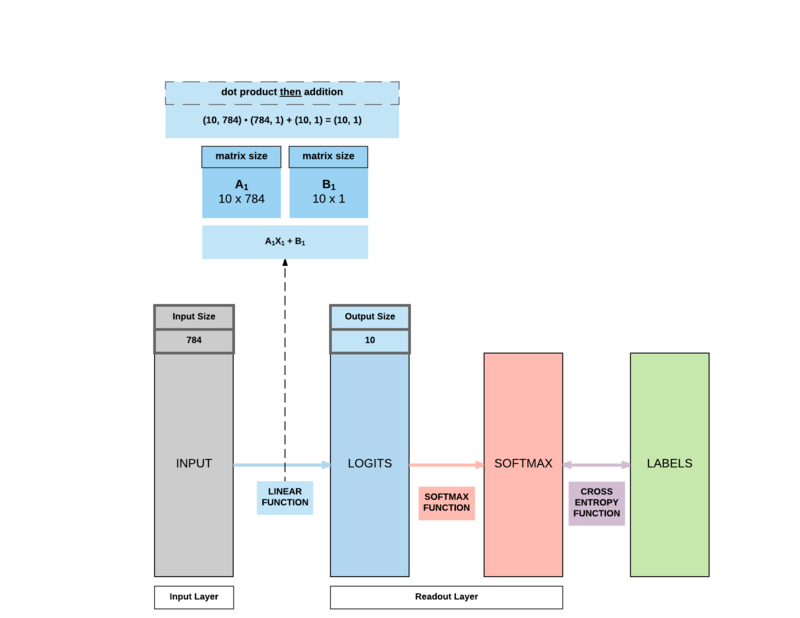 Above, the equivalent of lst is train_loader and test_loader. # Same as linear regression! As we're trying to classify digits 0-9 a total of 10 classes, our output dimension is 10. And we're feeding the model with 28x28 images, hence our input dimension is 28x28. Unlike linear regression, we do not use MSE here, we need Cross Entry Loss to calculate our loss before we backpropagate and update our parameters. It does 2 things at the same time. 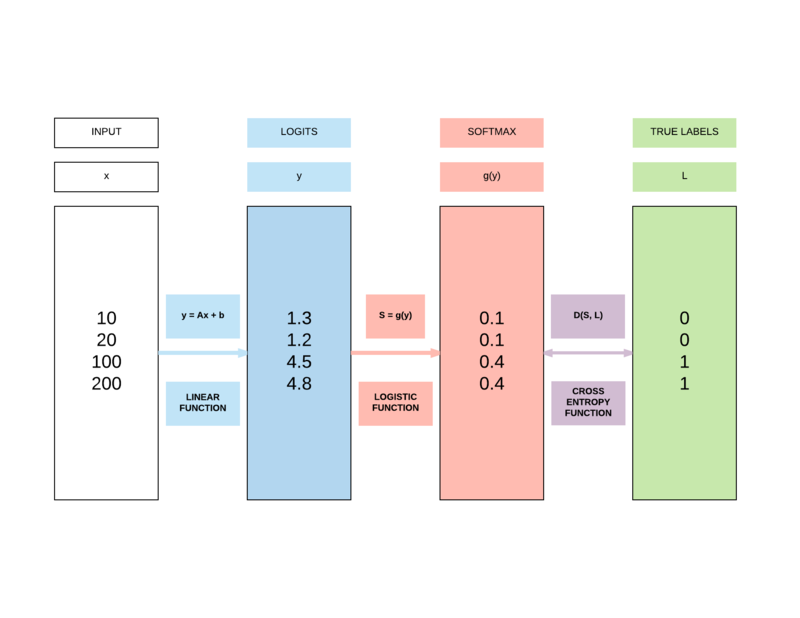 Similar to what we've covered above, this calculates the parameters' gradients and update them subsequently. You'll realize we have 2 sets of parameters, 10x784 which is A and 10x1 which is b in the y = AX + b equation where X is our input of size 784. We'll go into details subsequently how these parameters interact with our input to produce our 10x1 output. As we've trained our model, we can extract the accuracy calculation portion to understand what's happening without re-training the model. This would print out the output of the model's predictions on your notebook. This produces a 100x10 matrix because each iteration has a batch size of 100 and each prediction across the 10 classes, with the largest number indicating the likely number it is predicting. This would be a 1x10 matrix where the largest number is what the model thinks the image is. 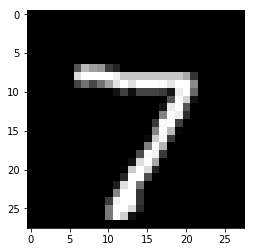 Here we can see that in the tensor, position 7 has the largest number, indicating the model thinks the image is 7. Because our output is of size 100 (our batch size), our prediction size would also of the size 100. We are printing our prediction which as verified above, should be digit 7. We are trying to show what we are predicting and the actual values. In this case, we're predicting the right value 7! Again, the prediction is correct. Naturally, as our model is quite competent in this simple task. Now we know what each object represents, we can understand how we arrived at our accuracy numbers. One last thing to note is that correct.item() has this syntax is because correct is a PyTorch tensor and to get the value to compute with total which is an integer, we need to do this. Python's .sum() function allows you to do a comparison between two matrices and sum the ones that return True or in our case, those predictions that match actual labels (correct predictions). The usual 7-step process, getting repetitive by now which we like. Remember step 4 and 7 will be affected and this will be the same for all model building moving forward.